We offer a wide range of disciplines across our venues in Cheshire. Each venue is slightly different so be sure to enquire first ensuring you and your child know what to expect! Gymnastics for ALL is guaranteed at every centre. For those of you who are over eighteen. Complete beginners can learn the cartwheel they never achieved when at school or ex-gymnasts can get involved and relive their gymnastic dreams. Bouncing, spinning, rolling – your children are already natural born gymnasts. So if you want to help them develop their physical skills, what better place to start. You are thundering down the runway, launching into your fifth back flip in a row. For a moment it feels like the whole world is rotating around you. Then its over. Thats when the crowd go crazy. 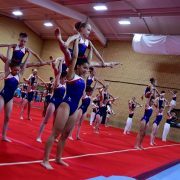 Acrobatic gymnastics is all about working as a team to pull off the most spectacular balances and throws. By learning as a pair or group, you can have a lot of fun developing your skills, strength and co-ordination. What better way to release your inner performer. 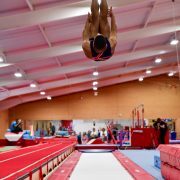 Womens artistic gymnastics is a beautiful type of gymnastics to be involved in, whether you are an experienced performer or taking your first steps in the sport. 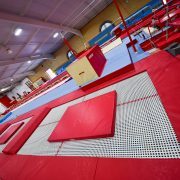 Floor, beam, bars and vault all require strength, power, elegance and control. Mens artistic gymnastics is all about strength. You will build strength and power from day one across six apparatus where you will learn powerful routines and sequences. This is all about spellbinding routines on the floor using ribbons, hoops, balls and clubs. You can perform as an individual or in a group to express flawless beauty. Trampolining is one of the most exhilarating sports there is. From the very first day, you can experience the thrill of leaping higher than ever before. As you progress you can develop complex routine and the sky is the limit. 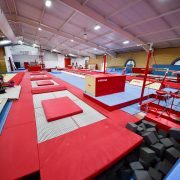 Teamgym is all about working together as a team to create exciting and mesmerising routines with tumbles and partner work any combinations can be creatively produced to make a fantastic spectacle. 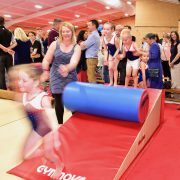 All gymnastics can be adapted around physical, sensory and learning requirements. 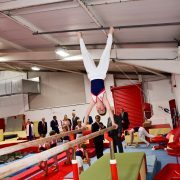 Why not give gymnastics a go and find out what you are really capable of? This is the perfect compliment to gymnastics involving musicality, good posture and beautiful movement all without the formality of examinations. GymFit is an awesome way to workout, whether you want to get involved in gymnastics or not. A huge variety of exercises focusing on cardio, core, upper and lower body, you’ll come away from every session feeling fitter, stronger and one step closer to that gymnasts physique. The full range of our classes use a motivating award schemes, so children and young people can earn their badges and certificates. Whether you are a gymnast or not, a young person interested in building up an impressive portfolio for future college/job applications can join our team to learn. You will volunteer at one class a week and work alongside a qualified coach learning to lead different ages and abilities. We invest in our committed young leaders, funding them to achieve coaching qualifications.